Co-generation is the concept of producing two forms of energy from one fuel. One of the forms of energy must always be heat and the other may be electrical or mechanical energy. In a conventional power plant, fuel is burnt in a boiler to generate high-pressure steam which is used to drive a turbine, which in turn drives an alternator through a steam turbine to produce electrical power. The exhaust steam is generally condensed to water which goes back to the boiler. As the low-pressure steam has a large quantum of heat which is lost in the process of condensing, the efficiency of conventional power plants is only around 35%. In a cogeneration plant, very high efficiency levels, in the range of 75%–90%, can be reached. This is so, because the low-pressure exhaust steam coming out of the turbine is not condensed, but used for heating purposes in factories or houses. 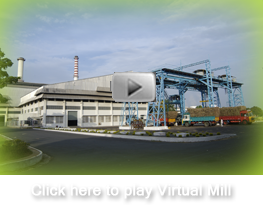 Since, the sugar mills in India consume their own bagasse to run their mills during the season and generate steam to run the boilers and turbines; they generate power to run their plants. Surplus energy can be exported to the grid of distribution licensees. The Central Electricity Regulatory Commission (CERC) is the central body which regulates the various aspects of generation and supply system at national levels. Besides CERC, there are State Regulatory Commissions in each and every State to deal with the aspect of tariff and regulation of generation, supply and distribution of energy. No State has so far allowed open access, electricity cannot be exported outside the State. Trading of energy in form of Renewable Energy Certificate are allowed since 2010 for which CERC as well as the State ERCs have promulgated various regulations. Statement of Reasons issued by CERC Read..